as well: Manuals, CDs, DVDs, Flyers, etc..
the comments in brackets ( . . . ) are my sole, personal, subjective opinion! (these lines are devoted as a memento to Bernd! cave expeditions and interviews with Dr. Max Hahn, Hannes Keller and the like! A lot of colored photographies and charts are topping-off this unparalleled book. (on 142 pages in 13 chapters the basics of technical diving. Making a great visual impact, with a lot of well arranged tables and charts. Mainly the Helium, Oxygen and Deco discussion. An index and the bibliography is missing though. The simple, straightforward and pragmatic view is outstanding among all the other manuals I know! (Here the facts: on 352 pages in 9 big chapters with more than 420 pictures THE CUTTING-EDGE book! On almost each page we are finding very appealing graphs, tables and hints! Apart from that really ALL aspects of technical diving are covered in a substantially interesting, competent and, partly, very thrilling manner! To the preamble from my friend Jens Hilbert (" ... a Must for everybody ...") nothing could be added! (If you want to thwart your super clever-clever instructors or divemasters: this is the book for you !!! easy to understand examples and excercises, all directly related to your diving experience. 20 chapters. On ca. 1,100 pages it is THE handbook for scientific diving! are making this important work of reference round. In the 5th. edition we have as well the 13 NOAA Nitrox tables from EAN28 to EAN40. (a nice little booklet for this SSI specialty! Read it! But with errors, pls. cf. ). ([62 to 64] and  are THE standards in hyperbaric medicine. For a deeper understanding of decompression related topics all of these 4 are indespensable. Sometimes these are quite contrary in the explanations. But they are worth the money: all of them! Especially i like some of the more drastic pictures ...For every really professionally working diver a must! (On more than 300 pages a very competent, complete and really innovative approach to the topic! (WOW! Here the hard facts: on 736 pages a team of 36 experts in the field is providing fireworks of then topical knowledge. the team of editors around "Chuck" Shilling guarantees, exactly like in  the same top quality!!! (a wild mixture of topics, sometimes only marginal related to diving. Embellished with a little bit of mathematics and statistics. The first 60 pages are a forced march through the complete physics! Basically there are bubbles, generation and growth of, micronuclei, a lot of references and excercises: on 140 pages a lot of material in small print, charts in black-and-white.) (What I do find really questionable: this botch copied its figures no. 1, 2 & 5 without any comment from  and even without giving the correct credits to this source!! (on 70 pages in format A5 a small booklet, a botched job, carelessly written without any devotion, with a lot of calculational and typing errors! The label "in depth" simply beggars any description: these informations you could download for free from my DOWNLOAD AREA , but as well with the same flaws. So is not only the central formula in the chapter "Folded RGBM Implementation" on p. 39 false, this is as well already on the cover! the most misunderstood. Everybody making his own research in these fields should have read it!! snappy prose (citation:"Virtually everyone that has DCS is dehydrated. If they say they are not, then assume they are lying"). i.e. basically identical to . Nearly the same information is there: for free. Because this is just cut and paste stuff, so expect an average error rate of 1 per 5 pages. without the usual citation for serious works (Lambertsen & Idicula, J. Appl. Physiol. 39(3) : 434-443. 1975). RGBM tables on p. 331 are out in the left field: the cited deep stops a la: "safety stops at half the bottom depth"
(on approx. 200 pages a complete and competent overview on all the aspects of rebreather diving. It's cut from the same cloth as , the RAB. So it is of good quality. For EAN 60, 50, 40, 36, 32 and 29 for SCR-diving there are decotables from Dr. Max Hahn for sealevel and as well for 700 - 1.500 m. However, i found some serious bugs for longer/ deeper dives in the OX-Tox calculations, the CNS doses! You may not use these tables promptly! (this comment is valid for  - : small booklets, nice cover, topical colored photos: that's it! a lot of and very serious errors with the formulas and other informations. Conclusion: not recommendable! like economy, risc analysis and quality assurance are covered! (on 250 pages the basics of diving in harbors, sewage systems, nuclear reactors and potable water drinking systems. With 250 very ostensive b/w photographies, a lot of charts, index on 10 pages, appendix with chemical and performance specifications of diving equipment and more than 100 references. Each of the 9 chapters is closed with a topical story. The aspects concerning: riscs, equipment, methods, planning and decontamination are covered competent and extensively. This book is considered a standard from the US Navy and other, big commercial training organisations. As well companies like Kirby-Morgan or Viking useing this one as a reference! (,  and  are part of the same story and are using each other as a point of reference. The books from Steve ( and ) are admittedly more technical, with more photos and with a DVD more all-embracing. Film quality, cut and background music: absolutely top and very interesting: there are 17 different careers of (dive)-professionals on the topical DVD from Hammerhead Video, i.e. Steven M. Barsky and his wife Kristine. Very vivid, with interviews, high quality photographies and, partially with "live" shots from the daily living of these pro's. The DVD covers a broad range from Scuba Instructor, UW-Photographer to Police- and Commercial Diver. As a very topical and complete overview on "wet" jobs very recommendable! (The facts: 25 concise chapters on 528 p.; an index on 4 p., a (very) selected bibliography: 1 p. (mostly IMCA stuff). Nearly every page features photographies, charts or drawings; a lot of chapters are finalized with lists with glossaries. Nearly every chapter is topped with: tips from an old diver ...! The chapter on salvage (#18) features are very interesting case study on the salvage of the COSTA CONCORDIA! The decompression procedures for surface supplied Air, EAN, and Mixed-Gas & Sat. are oriented along the USN Diving Manuals; the CNS Ox-Tox goes along NOAA. So for european C&R divers, let's say from mainly north sea oil fields, the standards and procedures differ by much, but are interesting & important to compare for best practices. with thrilling, high-quality photos underlined! the other more from bottom-up, i.e. the other side of the umbilical , the diver's side. pages of references and sources! Awesome! very informative, a lot of interesting photographies, and important! 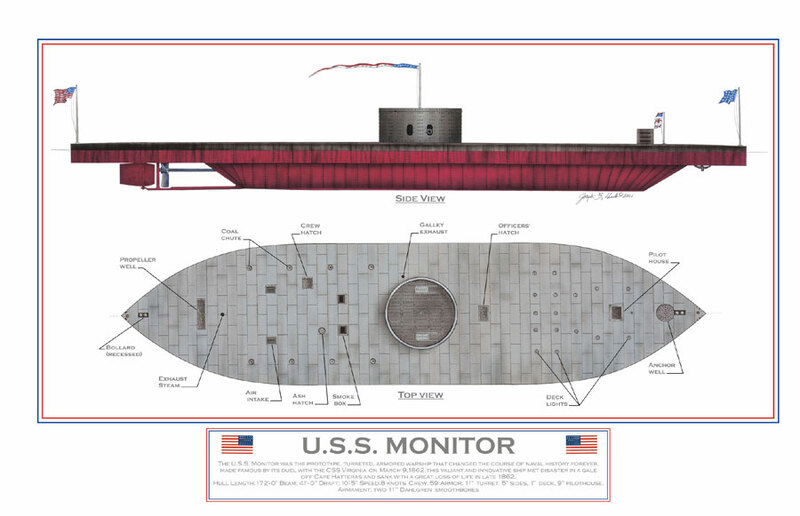 (The historic events around the battle and the sinking of the american irconclad USS Monitor is a thriller in one line of action. joined with a commercial diving contractor and undertook gigantique efforts with mix-gas bounce-dives and saturation dives. more info + photos from "FACEPLATE"
(Historic footage of the then revolutionary technology of saturation diving. here a couple of more info as an advertisement for free in this case! for the anniversary of the famous british company! of the 2nd world war and the then relationship to the former enemy. (Clear as crystal: a must for every apnoe diver!!! A lot of pictures and histories from his live, his work as a dolphintrainer and the physiological diving experiments. 1967, but quite differently as in  ...). and thus completely different as in ...) . (Editor, Title and Contents: are speaking for themselves! A MUST for every TEC Diver!!! It simply has to be good !! Because I wrote chapter 5 !! !